I love finding supportive female networks in my city to help me with my current projects, day-to-day, or side hustle. And while I'm East Coast based, I've met and heard of so many female entrepreneurs based in Los Angeles and learned about some really cool resources for women starting out. So if you're looking for amazing female networks or communities to join in Los Angeles, this list is for you. Sometimes to #werkit you have to find that perfect group for support and to embolden your ideas. You’re bound to meet a likeminded or like-determined partner at Six Degrees Society. Instead of canvasing a room with your business cards on hand, you’re sent info on event attendees in advance so you can do your homework first. With fun events from talks with fellow entrepreneurial ladies or pitch workshops to get you started, Six Degrees Society is definitely a go-to for finding inspiration and motivation in Los Angeles. Are you currently building your company, brand, body of work and hoping to meet other inspiring women doing it too? Boss Ladies work seshes could be the perfect place for you to meet up! Started in Los Angeles, founder Chelsea Sonsken started this round table so female founders and entrepreneurs could come together to connect and support one another. These sessions usually sell out— so book ASAP— and if you need more inspiration, check out the Boss Ladies mag. Open your own doors (or enter someone else’s home) with fellow female business leaders, and host a community for coworking, learning, and inspiring through Quilt. It’s super easy. You find a host for a coworking day or a topic for a learning experience you’re interested in and join! It’s a casual way to get things done in a few hours and find support from other women. You can learn anything from wellness or PR best practices. Biz Babez is a boutique female coworking space so space is limited but totally worth it. It’s an inspiring and creative community full of writers, jewelry makers, designers, influencers— and lots of like-minded women— guided by two founders who know the struggles of a small business. Dani and Taryn started the space to create a community for those entrepreneurs missing the friendly, supportive, and social atmosphere a coworker could give. The Ellevate Network is on a mission to help women advance in business with a network of vibrant career women who are there to support and educate one another. 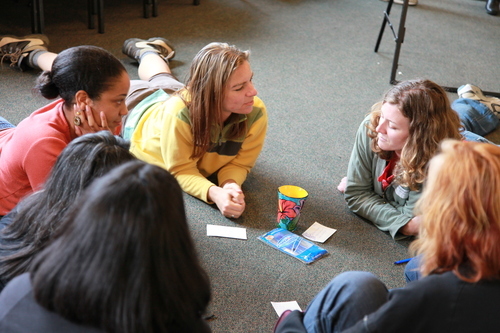 There’s a great mix of in-person events, workshops, or coffee chats. Or if you’re on the go, join a Jam Session! These are 30-60 minute online webinars led by experts within the community. Topics anything from social media growth to growing your business with creative content. Paper Dolls is a community and coworking studio dedicated to to embracing and encouraging the way women work individually and together. Conceived by founder Jen Mojo, it started as a series of well-curated dinner parties of collaborative, ingenious professional women, which has grown into a series of topical events and a coworking studio in Los Angeles. This global network of change-makers and entrepreneurs seeks to provide women with the tools they need to succeed in their individual goals. Their principles are things we can certainly get behind: they seek desire, passion, authenticity, true listeners, and holding each other accountable. Find their values here. Started in 1999 by Sarah Ellis Conant and Zika Everett (in Sarah’s living room) the group developed into a retreat and later chapters in cities over the U.S. run by volunteers striving to support and challenge local female entrepreneurs. Vinetta seeks to support high growth female founders, hoping to take their businesses to the next level and assisting as they scale. Most startups founded by women are underrepresented in the investment atmosphere, and Vinetta seeks to shed light and capital on these burgeoning businesses. Vinetta is an elite, private group of women, and the Project assists high potential founders with right resources, events, and networks. See if it’s a right match for you. Yes She Can is a curated calendar of events, perfect for the female entrepreneur or creative in Los Angeles. It’s the perfect way to stay on the pulse of events, workshops, conferences, and speakers created for women. Plus it’s a newsletter direct to your inbox! What better way to check out what’s going on and to meet other rising lady entrepreneurs? 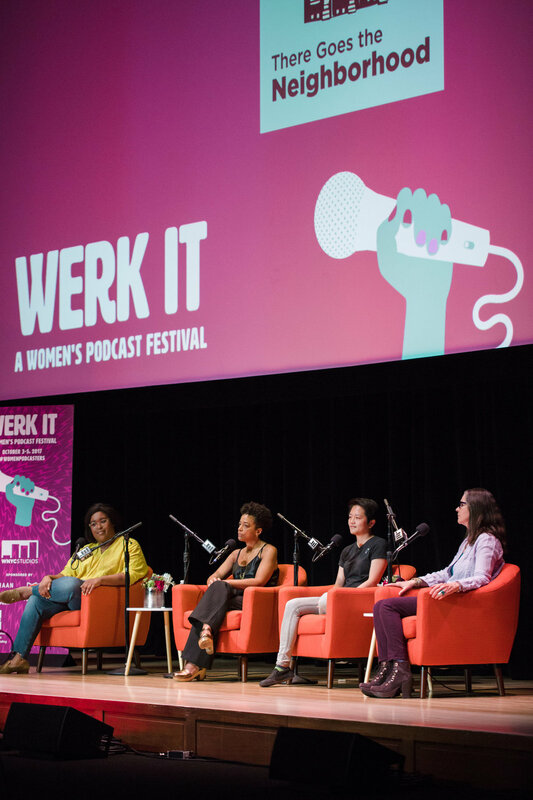 If you have’t realized it, I’m always after an inspiring business podcast, and sometimes the best ways to experience it is to check them out in person, like, say, at the women’s podcast festival Werk It? This Los Angeles based podcast festival is an amazing opportunity to hear the stories of other females breaking into different industries. This past year’s guests included Lena Waithe and Kara Swisher. Make friends hustling too or get all the motivation you need through the cast themselves. Aptly named Create & Cultivate is here to help women grow their dream career paths. Started by Jaclyn Johnson to encourage other females to pursue their dream jobs and businesses, Create & Cultivate hosts a spectacular 1-day conference with panels, sessions, and mentor hours. Check out the Los Angeles conference in February here.